Picturing Disney: Coast to Coast it really is a SMALL WORLD after all! Coast to Coast it really is a SMALL WORLD after all! "It's a World of Laughter, a World of Tears..."
Originally, this classic Fantasyland attraction was created by Walt Disney and fellow imagineers for the 1964 World’s Fair. The ride, which originated as a UNICEF project, was added to Disneyland Resort on May 28, 1966. The park attraction was an even larger than life version of the World’s Fair attraction. Using the artwork inspiration (and help along the way) of Mary Blair, Walt and company created an attraction that celebrated the cultural differences all around our small world. 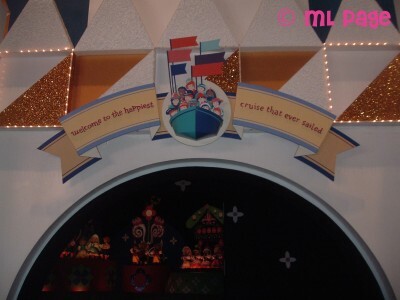 "It's a World of Hope, and a World of Fears..."
It’s a Small World can be found in not only Disneyland Park but Magic Kingdom at Walt Disney World, as well as at Hong Kong Disneyland, Tokyo Disneyland, and Disneyland Paris. There are over 300 “children” in the attraction and the imagineers purposely made sure there was both a sun in a moon integrated into each “country” to reflect the lyrics of the ride’s theme song, “there is just one moon and one golden sun”. "There's so much that we share that its time we're aware..."
While the ride has become corny to some and the song can really irritate those who find it stuck in their head all day long, I have to count myself among the fans of the happiest cruise that ever set sail! This is a must ride for me! And while my first happy cruise was in Walt Disney World, the addition of Disney characters to the original Disneyland attraction as well as the outdoor que makes this one of my first recommendations to those heading to the original Disney Park! With the 45th anniversary of the ride last year Disney Parks released some really awesome merchandise with Mary Blair's original artwork throughout the parks! I have noticed that some of it can still be found in the parks and stores AND the partnership with LeSportSac is still in full swing with two more ride-inspried patterns to be released in the next 6 months! 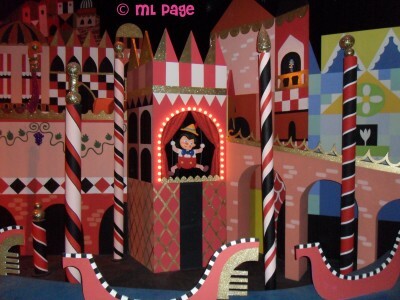 "It's a Small World After all!" 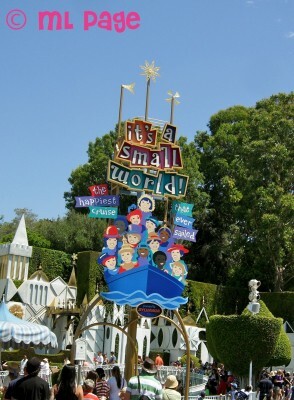 For more fun facts and information about the Small World check out this article from Disney Insider!